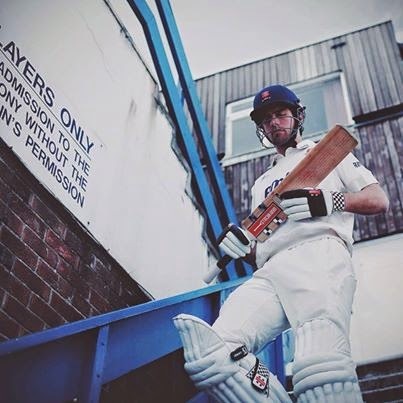 County cricket (week 3), Wirral Cricket Club & other random ramblings. It's been a long and stressful week on a personal level, so consequently it's been rather nice to see that there are some things happening out there in the cricketing world that go more than a little way to cheering me up - and I'm not just talking about the amusing rubbish spouted by certain ex-captains and players on twitter. For example. in the LV County Championship Division 1 thingamajig we began to see the universe beginning to correctly re-align itself into how reality should be. This took place with Yorkshire winning their (notice that I didn't say 'our') first match of the season against Northants by an innings and 120 runs (it was a close one then) to go 2nd in the table behind that Sussex lot. If the universe keeps doing it's thing when the game takes place against Middlesex later today, then this season the title will surely be ours, I mean theirs. Jack Brooks, Ryan Sidebottom and Steve Patterson are an attack that are going to give the willies, as it were, to many a top order as the championship progresses. 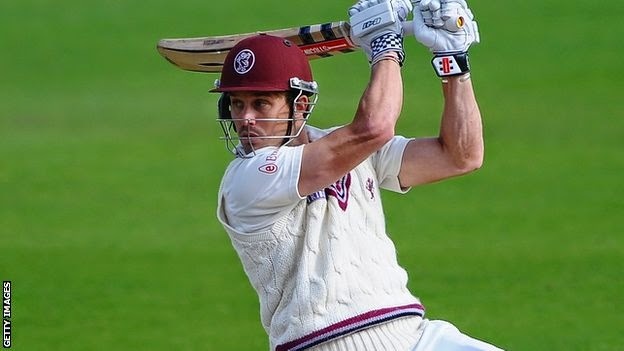 Elsewhere, Nick Compton - remember him? You know the guy, Somerset batsman and ex-England international casually tossed aside by the previous coach after just 9 Test matches, even though he had a reasonable batting average of 31.93. Well he was in fine form this week to provide a reminder to the new team of selectors (more about them in a moment) when he scored a hat-full of runs in the match against Durham earlier in the week. His 100 not out, which included 14 fours from 211 balls was a fine knock to reach his 21st first class century and should surely provide him with a shout. In my humble opinion, the man is a class act and providing he can stay fit he really should be given another opportunity. After all, at 30 he is coming into his prime as a batsman, he should not be disregarded. Besides which, he once retweeted me on Twitter, but obviously that has absolutely nothing to do with me thinking that he should be playing for England again - but he really should. Its all looking rather promising from El Capitan, Alastair Cook, as he scored his second hundred of the new season as Essex drew with Surrey. After hitting 39 in the first innings he then scored a lovely 127 in the 2nd - the man has a bit of a swagger once again and it's bloody good to see. Apparently, the good captain's two Championship centuries so far this season already equals the total number he has scored for Essex in the previous six years, which probably says more about central contracts and contemporary internationals actually playing for their counties rather than any reflection of club form. Also, in the "England selectors, look at me, look at me!!!" 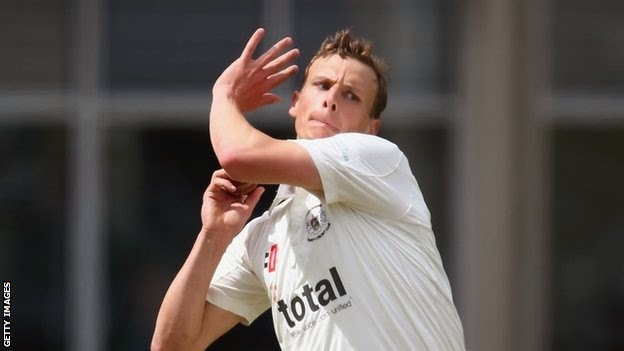 auditions that are currently taking place in the county championship, Gloucestershire all-rounder Will Gidman staked a pretty good claim to be noticed as he took 9 wickets for 84 runs in the draw against Glamorgan. Gidman, at 29, has been something of a late bloomer in his career (no bad thing) and so should be looking forward playing against Essex next week, which should see him have the opportunity to bowl against a certain Alistair Cook. Go get him, Will!........... er, but not too much eh? 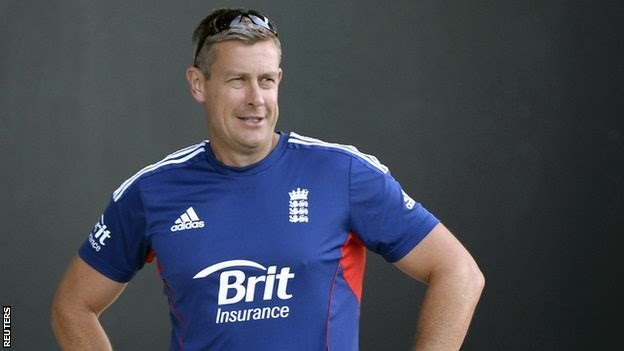 Oh, poor old Ashley Giles - how quickly things can turn pear-shaped for someone in the England international cricket scene theses days. One day you are the previously adored King of Spain and the publicly groomed favourite to become the next England coach, the next, you have endured a torrid time as limited overs coach, been dumped out of the slog-in-the-park world T20 malarkey and beaten by the bloody Netherlands. You then lose out on the big job to a guy that made a right monkey's nut out of his previous attempt as coach. Well this week it seems that it has all become too much for Gilo to take and so he handed in his resignation as England selector. The ECB, obviously unable to forget the Netherlands fiasco couldn't resist the opportunity to further rub salt into his majesty's wounds and so appointed another one of his rivals and fellow interviewees for the the coaching post, Mike Newell. I'm starting to feel really sorry for the guy, I really am. The Twitterworld went into overdrive last night when, tired of commenting on what they had just eaten for dinner, matters turned to news of a third division match that had taken place earlier in the Cheshire league where Wirral Cricket Club, situated not far away from Liverpool, were dismissed for just three runs in their match against Haslington - yes, that was three runs by the way, you read it correctly. However, in the tried and trusted tradition of not wanting to wallow in a pit of self-pity, the club have admirably taken all the publicity in good humour - as a couple of the tweets below show. I suppose all's well that ends well as the club are even appearing on BBC Radio5 live this morning - nice one, people. Just a quickie......as it were. I once had a girlfriend (no, I really did), her name shall be kept secret in order to protect the not so innocent. We were together for quite a while, had some good times but as time went on the good became less and less frequent until the inevitable happened and we went our separate ways. A mutual agreement was made to split, In other words, she dumped me..... But in all honesty, I was rather relived, we clearly were not much of a success together. It was a year a so later when I was surprised to receive a phone call ( these were the days before social media, ........Yes kids, don't look so shocked, there was a time before that and we survived fairly well) from my ex. She suggested that we give the relationship another chance and well, it's relatively safe to say that while the reconciliation wasn't quite a disaster on the scale of the volcanic eruption on Krakatoa, it was nevertheless something of a less than successful get back together. Everyone had warned me against it, my friends, my parents and even another ex-girlfriend who had moved to another part of the world (no, not to get away from me) heard about it and warned me against it. "You should never go back to an old flame" was the constant remark, and of course they were right. Why did I go back? Well quite simply it was because the other options in my life weren't exactly more favourable at the and no stunning brunettes were throwing themselves at me either. So there you have it, superficial maybe. 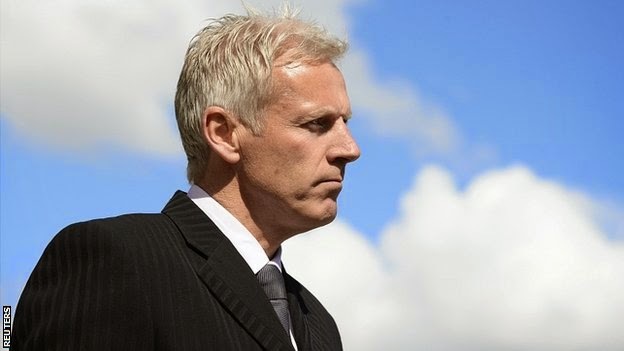 So yesterday, the England and Wales Cricket board announced that they had gone back to an old flame and re-appointed Peter Moores as head coach. Quite obviously they hadn't heard about my story or else they may have thought twice. Then again, maybe they wouldn't have, because it seemed that in the last few days the whole appointment saga had more than an air of inevitability about it. The general consensus on Twitter et al was, that the ECB had few other enticing options. Just like me back in those dark and distant days, the other options for them weren't exactly any more favourable, in other words there was a distinct lack of stunning brunettes throwing themselves at the board either. From what I can gather from my sources (google, BBC, my mate down the pub etc), our old friend Ashley Giles was the boards' firm favourite until very recently when one sunny one day a slight problem was highlighted - namely getting our arses well and truly slapped by the Netherlands (yes, the Netherlands) suggested that Giles either was working with a team lacking in any sense of talent, or that he didn't actually have a blinking clue what the hell he was doing. To be honest it was probably a little of both, but the writing was on the wall anyway methinks after a less than auspicious time as limited overs coach. Nice guy, but not international coaching material I'm afraid. So it seemed that the only alternative for the ECB was to invite an old flame back - and let's face it, the news has exactly been met with an overdose of dancing in the streets or optimistic enthusiasm. On the contrary, it seems to be more of an "oh well"
Moores has proved himself an exceptional coach at county level - in fact the level of respect he has, not just from his peers but from county players, is almost overflowing with praise of his leadership skills. However, we all know that he had a less than successful time previously as England coach when the results weren't exactly something to be proud of - in fact they were pants. We also know that he rubbed up a number of the established players (not just Mr Pietersen), with his player management approach and coaching methods. So why might it be different this time? Well the fact is that many of the old-hands are either going or gone - and hopefully the hyperbole and nonsense spoken about KP by people who should know better will now cease. What Moores will face now is a whole new generation of young cricketers ready (if the ECB have the nerve) to forge a new and exciting England side. The precious criticism that he while he may have had a rich county history, his experience and knowledge of international cricket may well now be academic. The deadwood has been jettisoned,he knows and has worked with many of the young new players that are coming through. Moreover, the decision not to appoint coach for the other formats, but instead to install an assistant coach may well be a masterstroke - a sort of barrier between the occasional corporate speak that Moores can be responsible for and his players. The exclusion of some of the old guard through self-induced retirement, lack of form or illness may well be the fresh canvas that this new coach needs. Lets give him a decent throw of the dice eh? Getting back together with my ex was a mistake, but I'm more than willing to give Peter Moores a second chance...... as it were. The County Championship - first round of games complete. Its been a stonking first couple of weeks! I received a number of messages last week after my first piece on the County Championship, some of which were actually supportive and positive. A few people did make a comment as to some important issues that I had omitted, a couple of messages mentioned the excess of space in the piece given over to Yorkshire CCC and that they aren't in fact god's own team. Oh and there was the individual who wanted to know why each article I write also includes a generous reference to the England team. and not only that, why do I spend little time on the other Test playing nations? Well in regard to the last point, the clue is in the name of the blog, Einstein. In regard to the first two points, yes I may often veer towards the Yorkshire-centric, so at the risk of descending into sounding like another boring exiled Yorkshireman, I will do my best to avoid that. As for the missing out some important details of the week - well I suggest that if you want an analytical dissection then you read the marvellous Wisden Almanack. I'm just a bit of a self-indulgent cricket scribbler and make to apologies about that. Anyhoo, the first round of games have taken place in the County Championship with only Leicestershire so far not playing a 1st class game - so that means that they're currently bottom of division two. Once again my mathematical capabilities know few bounds, I didn't even need to check the tables below to make sure of that particular assertion. Question - How can a four day match which has been completely unaffected by adverse weather can end in a draw? Answer - When it takes place on a batsman's paradise at Taunton. The first three days saw a whopping 980 runs scored for just 19 wickets. England hopeful Gary Ballance did his international aspirations no harm at all in his first innings bat for Yorkshire, hitting 77, of course he then buggered things up by being bowled for just five runs in the second innings. I know it was only the first game of the season for both teams, but amassing 553 and 450 runs respectively in their first innings suggests that neither captain fancied being particularly bold in their captaincy in an effort to try and reach a result. We all complain and worry about the small crowds that can often accompany the CC games, but it's little wonder that few would turn up to a final day that had draw written all over it. The week continued with a number of England 'old boys' and 'hopefuls' doing themselves no harm at all in playing themselves into form and international contention - not to mention making sure that their central contracts remain in place/are due to be in the post. 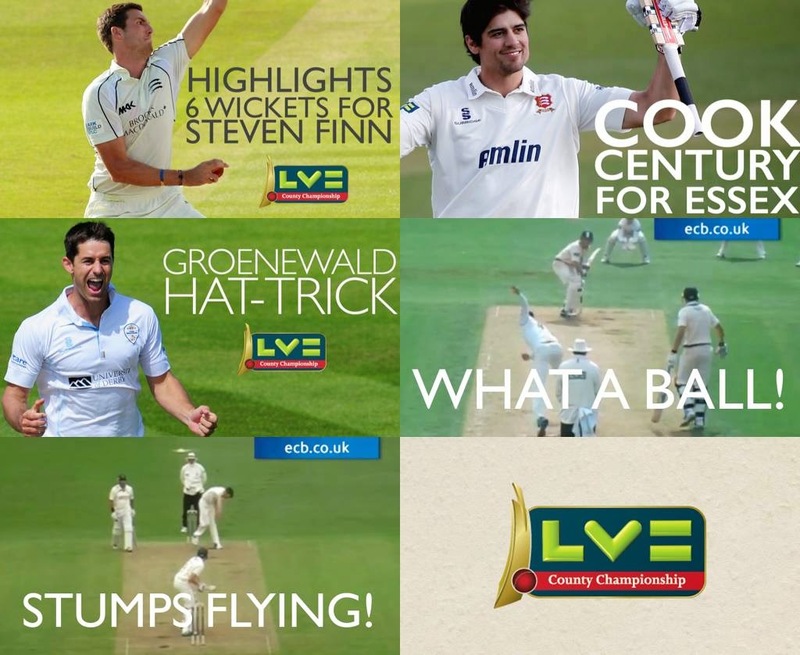 His highness, Alistair Cook, decided to show us all what we missed during the calamity down under as he made 181 in the second innings for Essex against Derbyshire earlier this week. New dad Cook then proceeded to do do a 'new daddy dance' when he reached his century, however, due to public decency and outright cheesiness, I can't show that on this blog. Alistair, I love you dearly, but this isn't football. Don't do it again please. England hopeful, Sam Robson further encouraged his cheerleading supporters for an international call-up for him to open alongside Cook scoring 163 and 41 respectively in his two innings for Middlesex this week. Not to feel left out, Ian Bell performed even better as he scored 189 not in Warwickshire's defeat against the current Div one leaders, Sussex. However, poor Jonathan Trott again failed to make an impact. I fear the worst for his international future. In addition to the CC games there has been the little matter of interviews taking place for the post of England coach. Now, in a bizarre twist of fate, the invitation for my interview seems have got lost somewhere in the post. Just what sort of 3rd world country do we live in when the Royal Mail cannot do their job on this one occasion? For some reason, when I tried emailing the powers-that-be to inform them everything was fine and that I could still make it down to London this week, my emails came back as 'blocked sender by court order'. Whatever that means. So once again the national set-up will have to do without the expertise and knowledge that I could bring to the post, Instead the The England and Wales Cricket Board have chosen once again to ignore me. It might be for the best. Mark Robinson: Due to some administrative mistake Mark was pick for an interview. His winning of six trophies at Sussex since 2005 and the glowing reviews he received after his stewardship of the winning England Lions Tour to Sri Lanka this winter will obviously count against him in the eyes of the pro-Gilo ECB. It should go without saying that whoever is selected for the job next week, he should get the full backing of us all. And he will.